Welcome to Dermadonna Custom Tattoos. Established in 1999, we’re conviently located in the heart of Old Amsterdam. We all enjoy variety and a challenge. 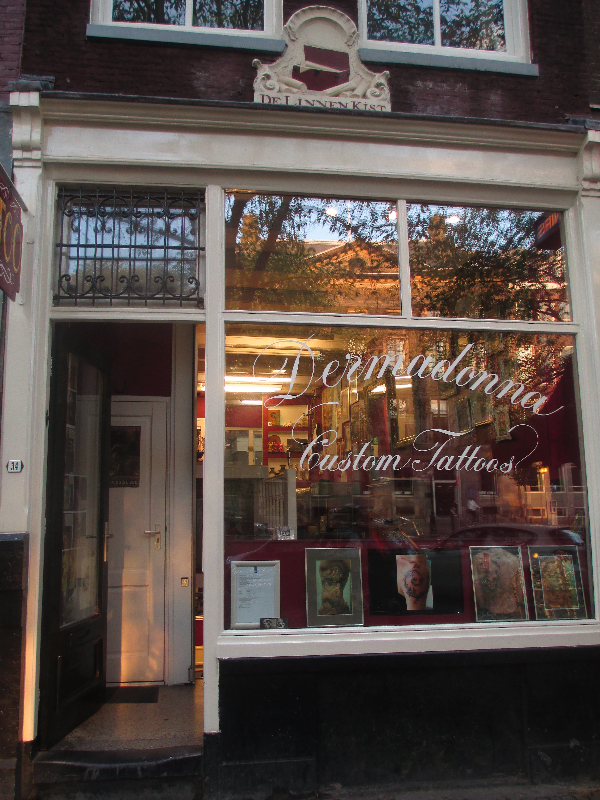 Dermadonna Custom Tattoos is mainly a Custom shop. This means as often as possible each piece is designed Individually for you, the Client. Although “walk-ins” are always Welcome, we mainly work with scheduled appointments. The First step is a personal consultation, where we discuss your project so we can make a rough sketch of the Tattoo. Please bring any reference material or photos you would like to use in your design (it all helps! don’t be shy with sketches). This Initial sketch will be transformed into a detailed Line-Drawing. You will get to Approve the design before the Tattoo is started, so any changes/modifications that need to be made can be arranged before your appointment. The day before we Actually Tattoo you, we recommend getting enough rest, eating well, and not consuming too much alcohol. Eating 45 minutes to an hour prior to getting tattooed is recommended. Feel free to bring your own music (Ipod or mp3player for personal use). Remember to dress Comfortably and appropriately. Wear clothes you don’t mind getting a little dirty, and allow us easy access to the area being tattooed.